Ireland is to make a clean break from its 3-year 85 billion euro bailout programme in December, without seeking precautionary funding. Irish PM Enda Kenny confirmed the move during a speech to the parliament. The Irish economy is emerging from one of the deepest recessions in the eurozone, having sought an international bailout in November 2010. Ireland is due to leave the EU-IMF bailout on December 15. Enda Kenny said: “We will exit the bailout in a strong position. The government has been preparing for a return to normal market trading. “We will set out a path to a brighter economic future for our people, a path from mass unemployment to full employment, from involuntary emigration to the return of thousands of people who have to leave for other countries to find work. He added that German chancellor Angela Merkel pledged to work closely with Ireland to improve funding mechanisms for the economy, including access to finance for small and medium businesses. International Monetary Fund managing director Christine Lagarde said the performance of Ireland bodes well for the future. 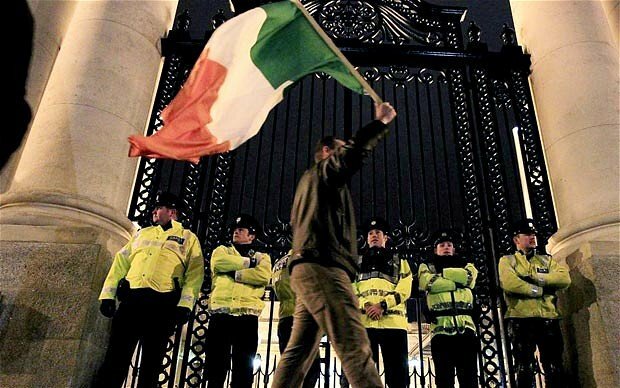 “The Irish authorities have established a very strong track record of policy implementation. This bodes well as Ireland exits its EU/IMF-supported programme,” she said. It is understood a decision not to seek a special overdraft facility was finalized at an emergency cabinet meeting on Thursday, ahead of Finance Minister Michael Noonan flying out to a summit in Brussels. The Department of Finance said confidence and sentiment towards Ireland has improved considerably in recent months and domestic and international economic conditions were also improving.